Yolanda L . Lewis was named Court Administrator for the Superior Court of Fulton County on August 27, 2010. She began working at Fulton County Superior Court on October 4, 2010. Lewis has served as Court Administrator in Clayton County since April 2008. Previously she was Assistant Director for Court Services at the Administrative Office of the Courts, a state agency that provides administrative assistance to Georgia Courts. 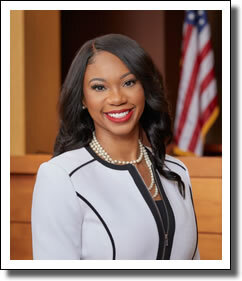 Prior to joining the Administrative Office of the Courts in 2004 Lewis was a strategic planner at the Governor’s Justice Coordinating Council and worked as a program coordinator at the Thirteenth Judicial Circuit in Mobile, Alabama. Lewis received her Masters of Public Administration from the University of South Alabama in 2002 and a certificate in Judicial Administration and Management from the University of Michigan in August 2010.